The equation may seem simple enough: the more engaged your employees are at your company, the more productive they will be. Boosting employee engagement has often resulted in HR launching various benefits, rewards, and recognition programs – from serving employees free gourmet meals at the cafeteria to subsidizing their Uber rides and dream vacations. Despite all these perks, however, 85% of full-time employees worldwide are feeling disengaged and demotivated in the workplace, a 2017 Gallup study showed. Without the proper feedback channels and tools, however, the challenge of enhancing employees’ day-to-day experience of the workplace can seem like a daunting task, one workforce psychologist told HR Tech News. 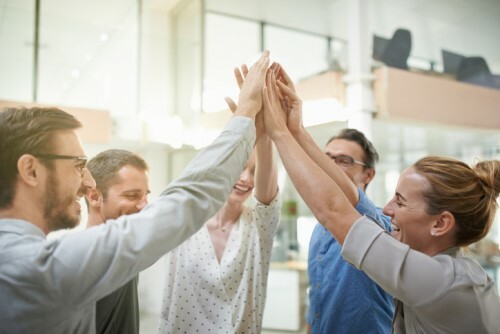 “Businesses need to recognize that employee engagement doesn’t happen via set-and-forget programs,” said Steve Bennetts, an employee experience management expert at software company Qualtrics. “Instead, they need to keep checking in with employees to make sure that initiatives are working, and they need to be responsive to changing sentiment in the organization to stay ahead of the curve,” he said. Analytics tools such as employee surveys – along with a culture that values feedback – are vital to taking the guesswork out of employee engagement, advised Bennetts. “A census employee engagement survey is foundational and exposes areas of strength and opportunity that leaders can act on,” he said. The tool is said to capture episodes in the employee experience that need to be measured frequently via pulse or lifecycle surveys. “A single point-in-time survey is an important first step to making sure leaders truly know what motivates team members,” Bennetts said. Using an experience management software turns anecdotal evidence into hard data, which can guide even inexperienced people managers toward engagement strategies ideal for their team.